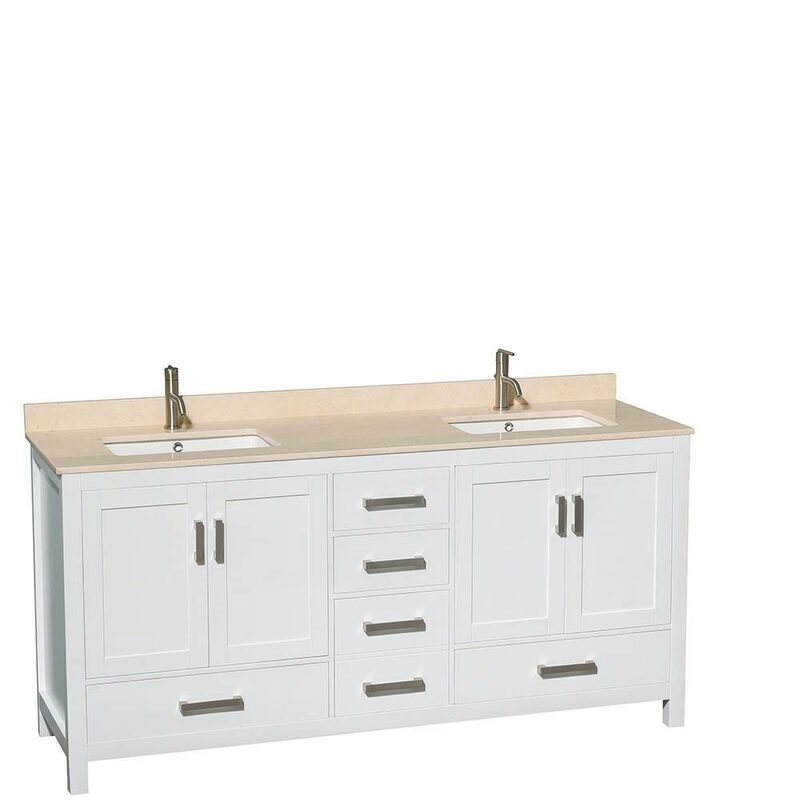 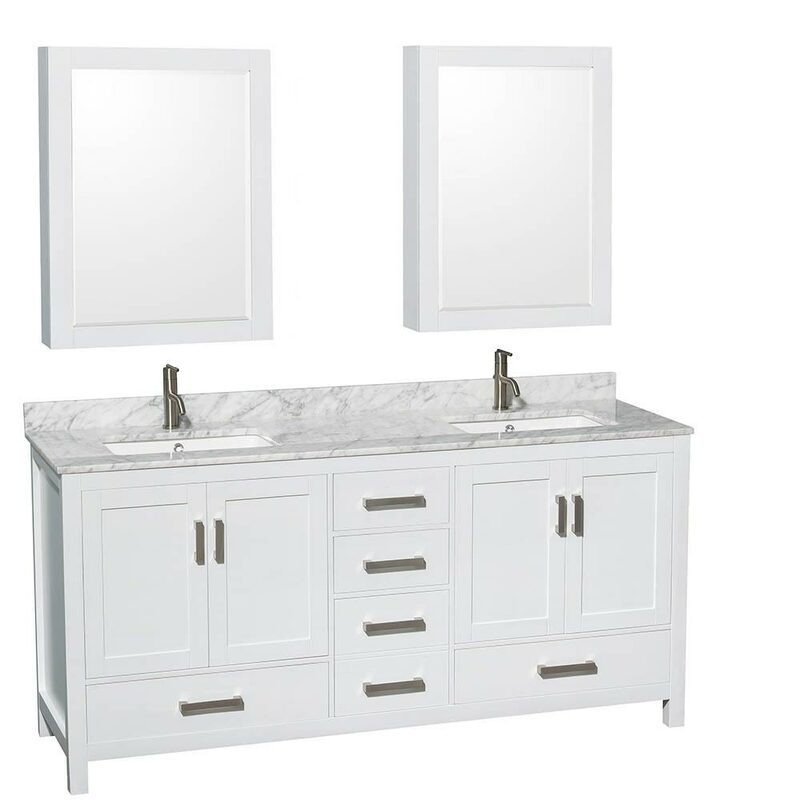 The clean, bright White finish of the 72" Sheffield Double Vanity makes it a great way to light up your bathroom's atmosphere. 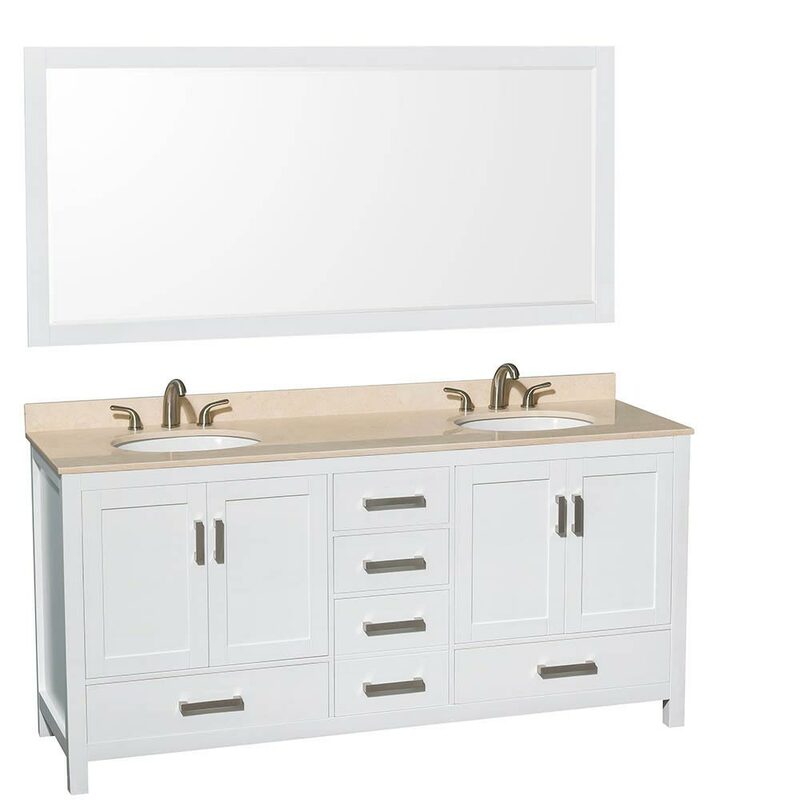 With a solid oak cabinet, this vanity boasts soft-closing drawres and cabinet doors for a truly long-lasting design. 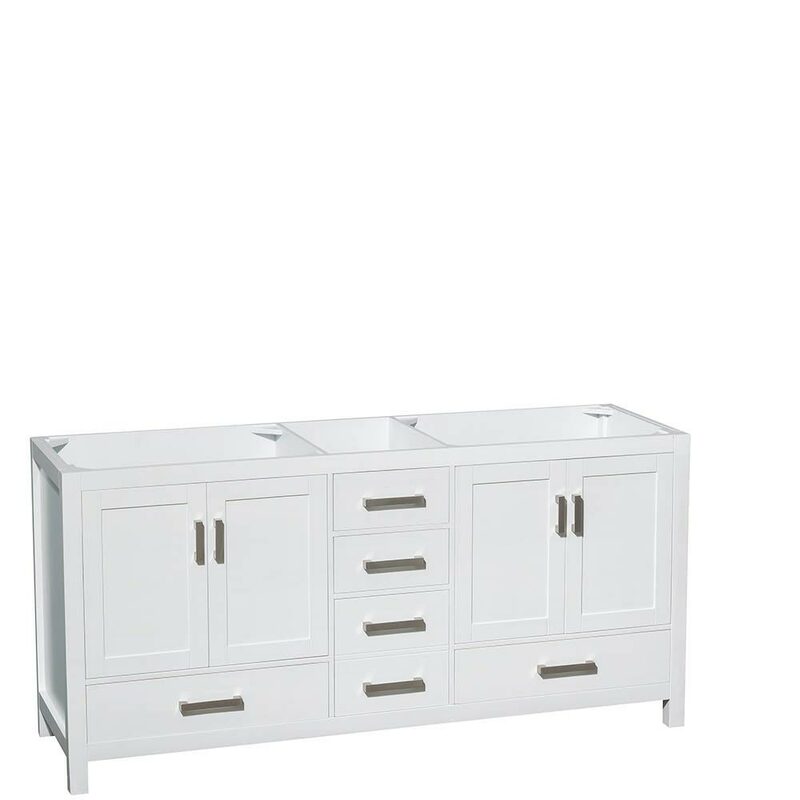 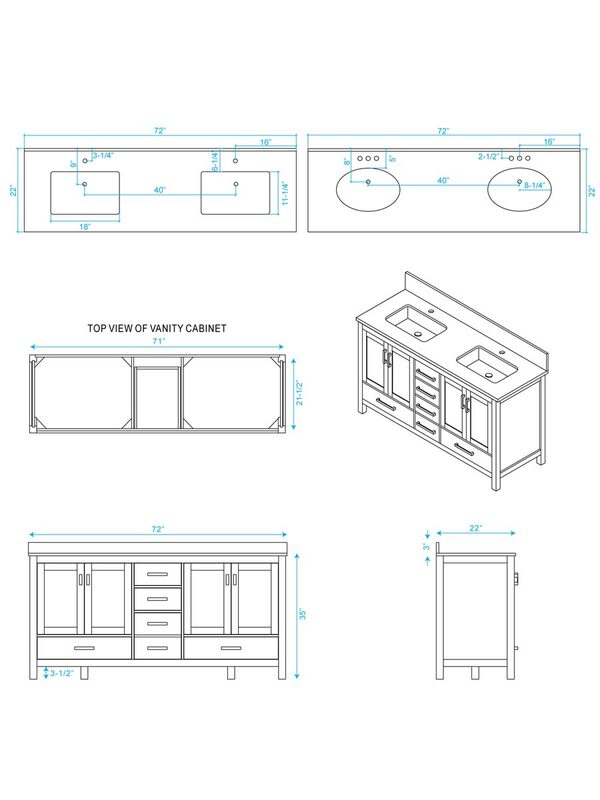 Its transitional style features a frame-like effect and offers two double-door cabinets and five fully functional drawers. 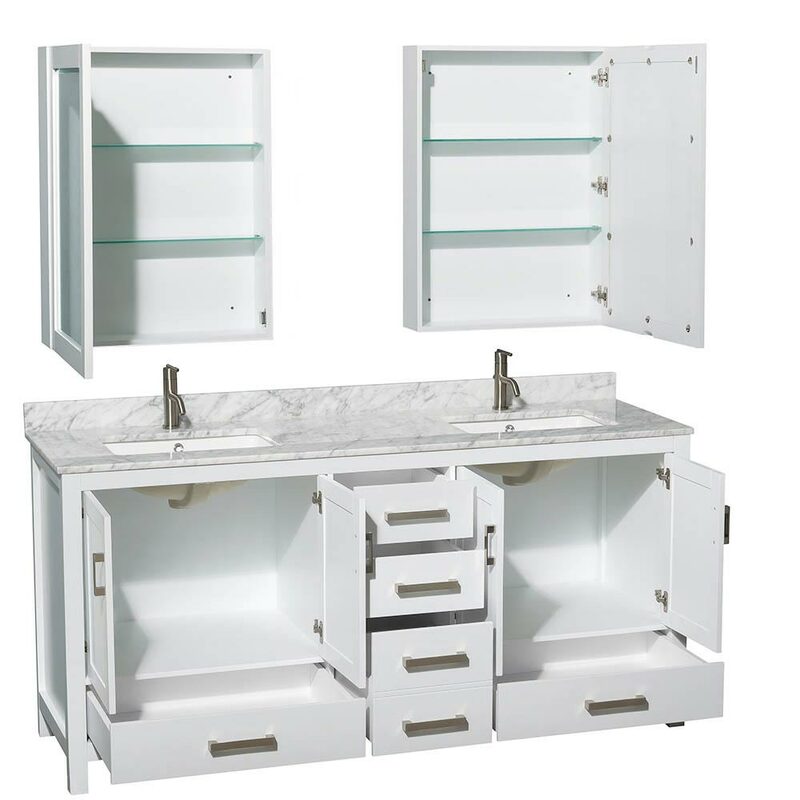 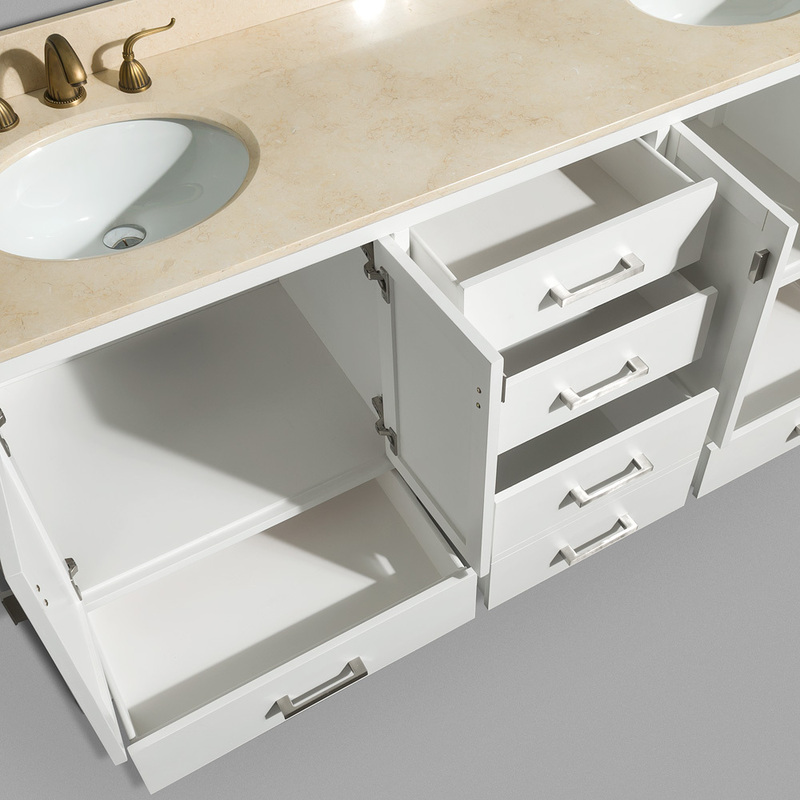 The top can be made from Ivory or Carrera White Marble and come installed with two white porcelain undermount sinks. 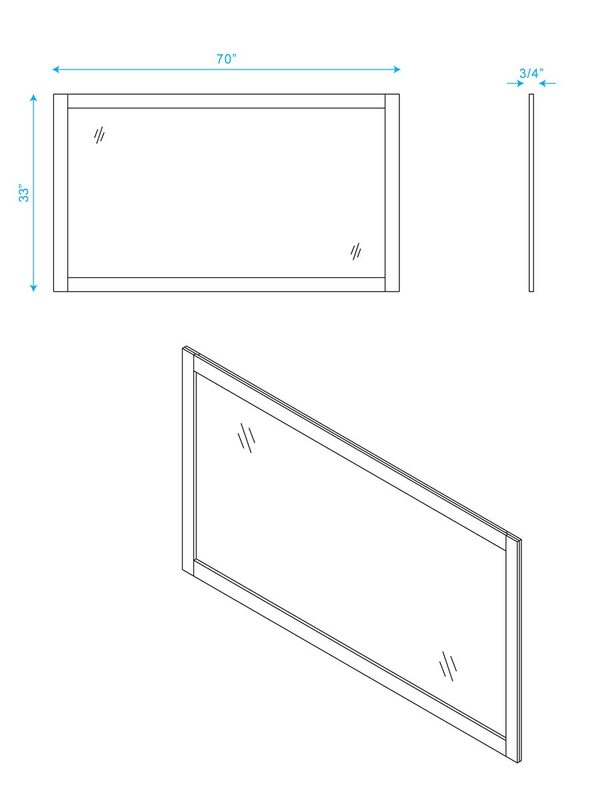 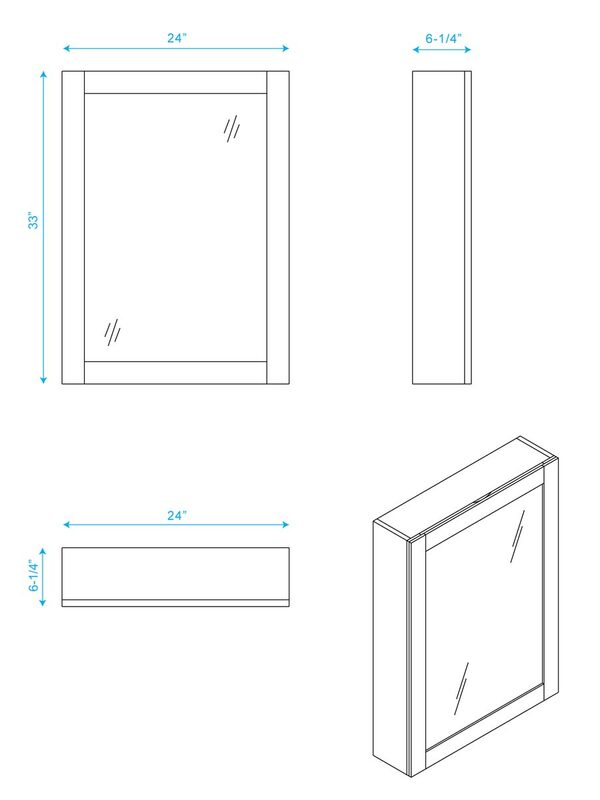 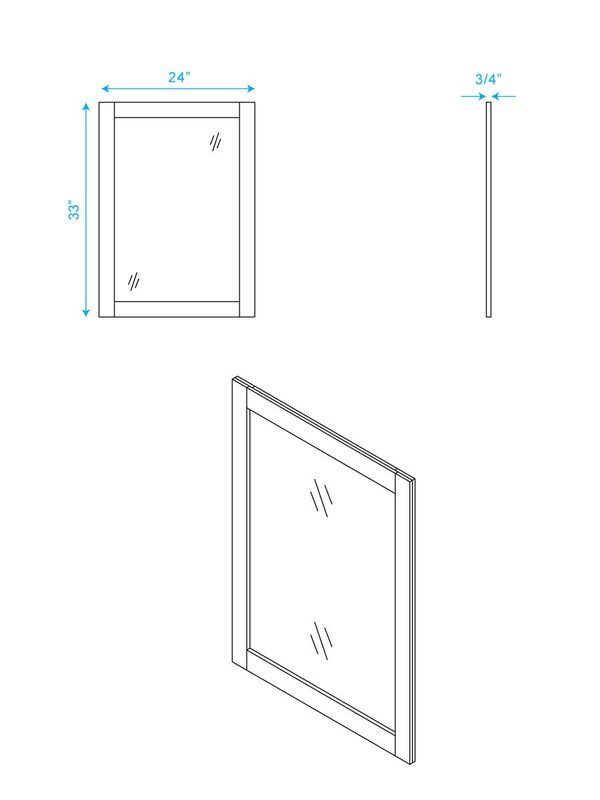 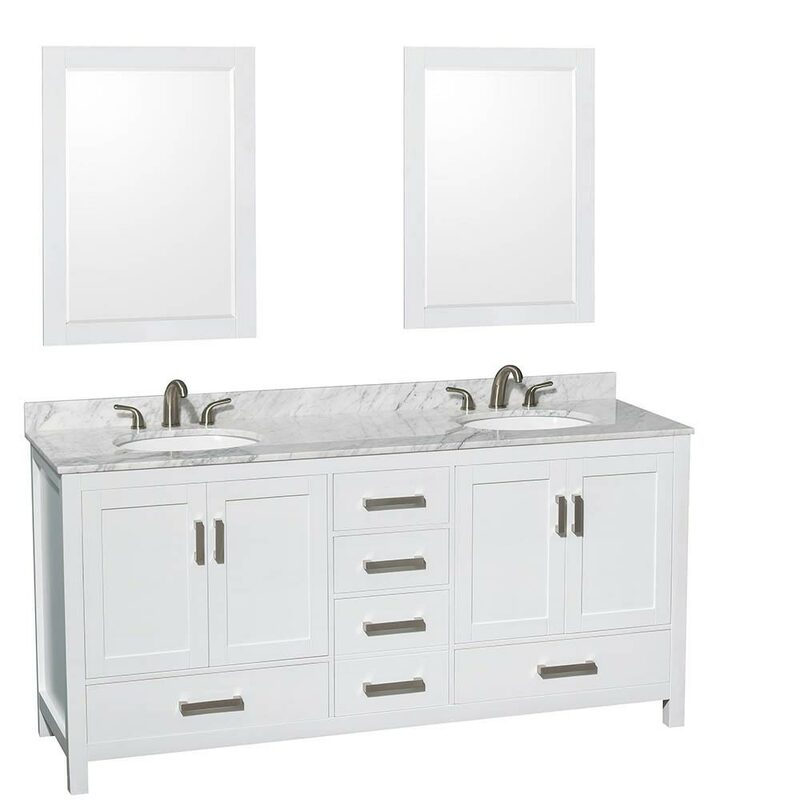 The Sheffield also comes with two small mirrors, but can be upgraded to one large mirror or two medicine cabinets. 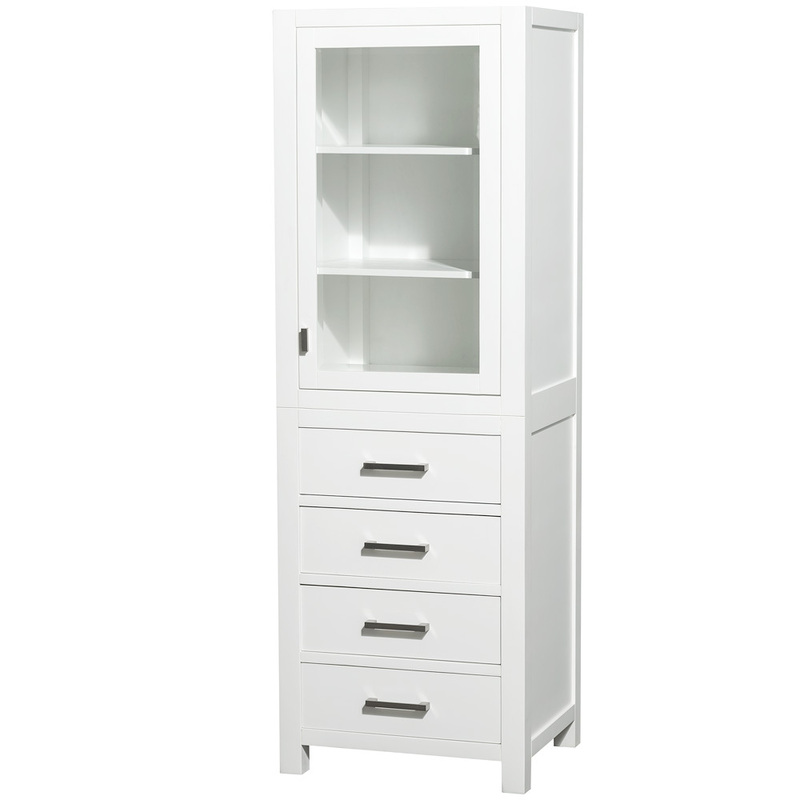 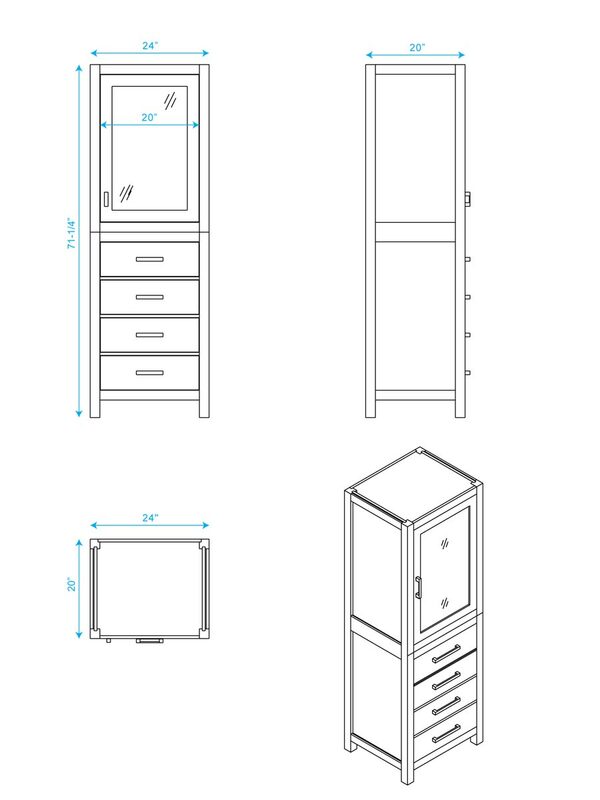 Optional linen cabinet is also available.